Customizable (for your organization), in-house development journey for individuals and cohort groups to develop self-awareness, potential and cultural impact. Are your leaders operating at their utmost potential? In today’s volatile and complex environment, businesses need leaders who are agile, purposeful, and transformational in their approach: People who can impact their organizations and the world. Leaders who can face our uncertain world and disrupted industries with a steady hand, an inspiring vision, a clear strategy, an ability to adapt, and an authentic presence that holds diverse and virtual workplaces together seamlessly. And yet, business schools don’t necessarily prepare leaders to play this role. Worse still, day-to-day professional demands set a frenzied pace of constant engagements that often occur at the expense of the requisite reflection, development, and space needed to foster this kind of leadership. Transforming your organization is contingent on unleashing the potential in your leaders — developing executives who can impact both their organizations and the world in this way. For this specific purpose, Egon Zehnder and Mobius Executive Leadership have created the Voyager Leadership Development Program, a customized leadership development journey for your organization’s top leaders to inspire and enable them to grow — as individuals, as high potentials, as a group of transformational accelerators in a large-scale change effort, or, where appropriate, collectively as a unified senior team. Each program is co-created with your organization’s needs in mind and specifically developed with your business’s strategic needs at the center — your unique business context, culture, values, as well as your institutional history, legacy, and vision. The Voyager Intensive will elevate each individual’s ability to lead, while building and broadening their capacity to impact your business as a high-performing team or key influencers of the organizational culture. When you have a transformational change effort underway or about to start, we can tailor the program to enable or drive that agenda by helping accelerate the power of key transformational change agents. The Voyager Leadership Development Program is highly experiential and exploratory; unique among executive leadership journeys. The program’s foundation is a three- to five-day Intensive retreat —based on WINNING FROM WITHIN®: A Breakthrough Method for Leading, Living, and Lasting Change®, written by Mobius Executive Leadership’s Chief Thought Leader, Erica Ariel Fox, and in tandem with Egon Zehnder’s Potential Model — to support each individual’s self-discovery, while expanding their critical mindsets and leadership behaviors. For the leadership team or group of senior leaders attending Voyager together, the impact is multi-faceted. Leaders grow by bringing more of their true self to their interactions. The sessions augment the capacity to adapt by helping to mature each leader’s sense of identity and corresponding ability to respond in high-stakes business contexts. For a team attending the session together, Voyager serves to foster an openness and trust that heightens collaboration on their shared work. There is also valuable return for your organization. Leaders resume work energized, focused, and confident, more finely attuned to how their behaviors affect others, and with a shared sense of purpose for what they can achieve both individually and collectively. The ‘voyage’ is a timely motif for self-discovery and fulfilling your potential, both as a person and as a leader. As Voyagers, we live in a state of paradox. We need audacity and humility. The hunger to grow and the acceptance of where we are now. The urgency to act and the patience to let things happen. Voyager’s approach to leadership development is decidedly different. Built around the foundational Intensive session, the program is set in a rare retreat environment to stimulate focused and meaningful introspection. Using a diverse format informed by adult-learning principles and drawing on right-brain methods for fostering self-discovery and heightening creativity, the Voyager Intensive includes practices such as structured, immersive exercises with real-time feedback from faculty. Sessions integrate expressive arts such as poetry, beginner yoga, guided visualization, and engagement with one’s imagination. The themes of the sessions’ exploration include understanding one’s leadership identity, exploring root cause motivations, and articulating one’s galvanizing life purpose. Collaborative discussions with peers provide supportive but candid feedback rarely available in everyday interactions with colleagues. The Intensive experience opens the individual leader’s perspective, broadening from a focus on one’s self to include the entire enterprise in which they operate. The exercises and coaching help them discern how and where they can have even greater and more sustainable transformative impact across their organization. Leaders’ mindsets, ambitions, passions, and purpose — while also helping them grow more attuned to how others perceive them and the impact they create consciously and unconsciously. The program broadens their awareness of where they are today by gaining deeper understanding of what has shaped their leadership approach thus far and widening the lens of how they see themselves in the future. Connecting all these elements creates a unique inflection point of clarity — uncovering and awakening each leader’s unique gifts, aspirations, and convictions. Many participants find the Intensive to be a turning point in their lives, both personally and professionally. From the outset, Mobius Executive Leadership faculty and Egon Zehnder consultants serve as coaches, sounding boards, and advisors with a powerful commitment to each participant’s success. The faculty has expertise in offering intensive, confidential, and significant challenges to leaders’ existing modus operandi, providing respectful challenges to their assumptions and default behaviors. The peer-to-peer interaction that begins at the Intensive and continues thereafter creates a community of like-minded allies well placed to help one another achieve bolder action in the world. Newly acquired levels of self-awareness serve as a day-to-day guide for enhanced performance. Post-Intensive coaching and development support may be further considered. Voyager leaves each person uniquely changed, and energized to galvanize their organization to new heights. There is a light that emerges — a sense of self and purpose that is brilliant to realize. Participants work with a designated Egon Zehnder development advisor to delve deep to understand their unique potential. Drawing on the firm’s proprietary leadership Potential assessment framework, participants create a leadership profile, receive a personalized report, and attend an in-depth feedback review session with their consultant. The profile tool provides a clear baseline for participants to broaden their perspectives on their own leadership abilities and enhance their self-awareness, a crucial input for the Intensive on participants’ learning journey to reaching their full potential. The Voyager Leadership Development Program is designed for groups of up to 24 people. Voyager may also be cascaded to your broader organization through a series of multiple programs to scale across a broader leadership base. The three-to five-day experiential session takes place in a restorative offsite environment ideal for unplugging and focusing on one’s inner life. Informed by adult-learning principles, the program draws on best practice methods for fostering self-discovery, integrating new facets of leadership expression, and igniting a clear vision for future leadership contribution. 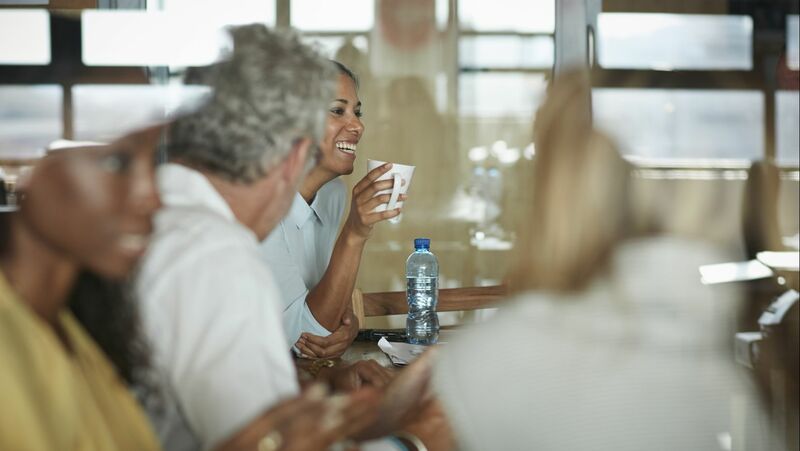 Co-led by expert faculty from Mobius Executive Leadership and Egon Zehnder, the Intensive’s WINNING FROM WITHIN® framework is designed to widen one’s personal leadership approaches while increasing moment-to-moment choice and self-awareness. The WINNING FROM WITHIN® method utilizes select Jungian archetypes which serve as seven pivotal levers for widening an executive’s intrapersonal and interpersonal range. Whereas standardized learning for executives often comes from an off-the-shelf program based on a fixed curriculum, the Intensive draws on a wide range of out-of-the-box learning modes, from poetry to a silent walk in nature and highly refined exploratory exercises, all designed to help leaders deepen their self-understanding and shape their own course of action. Leaders emerge from the Intensive more energized and focused, with a deeper sense of themselves and clarity for how they can make a difference in their lives and organizations. Following the Intensive, Egon Zehnder and Mobius may design further development for participants geared to particular objectives of the sponsoring organizations. Post-Intensive development may include individual coaching, team building, or systematically integrating learnings more broadly into the fabric of the organization. It is hard to guide and lead anyone to places in themselves that you have not been able to personally bridge. For leaders to unleash others’ innovation capacity, they must access their own intuition and ability to sense the path ahead. To create psychological safety and trust in your organization, you must cultivate emotional intelligence and openness. To foster peoples’ ability to lead in complexity, you must engage with emergence, paradox, and comfortably take on multiple perspectives in yourself. To provide your organization with a quality of calm confidence in the future, you must find your own deeper center and stillness. Through Voyager, we witness leaders’ full abilities shine through unlocking all of these critical leadership capacities. The Voyager Leadership Development Program is designed for groups of up to 24 people. Voyager may also be cascaded to your broader organization through a series of multiple programs to scale across a broader leadership base. Facilitated by experienced Egon Zehnder consultants and Mobius Executive Leadership faculty, Voyager is tailored to the needs of the specific group of leaders participating, as well as to the broader business environment in which they operate. Voyager programs can be highly advantageous when conducted in the context of a business inflection point such as post-merger, during a large-scale culture change, the launch of a new R&D or product team, or as a core part of a wider organizational change. The Voyager program is designed to help leaders reach their truest potential by expanding their self-understanding, further actualizing their gifts, and widening their leadership range. The program provides meaningful personal insights that better equip executives to positively lead and influence teams and to guide and inspire their organizations. Participants cultivate leadership qualities such as audacity, empathy, courage, and creativity. They come away better understanding how to address organizational complexity, orchestrate creativity, and steer their organization toward greater societal impact. The immersion is conducted in a remote and restorative location selected by the client that removes the participants from the demands of everyday life and enables a context for significant development and self-reflection. Sessions are shaped by individual and collective insights from expert faculty and research findings from neuroscience and adult development. Based on well-established research of how adults learn best, Voyager is almost entirely experiential. The same research emphasizes the need for right-brain experiences to translate the session’s insights into new mindsets and behaviors that nurture over time. Voyager is co-designed with you to reinforce your company’s values and distinctive ethos while fostering the deep shifts your executives require to lead your organization into the future. We work with you to create tailored sessions within the Intensive, for example to anchor the program to a broader transformation agenda or more explicitly link it to your cultural priorities, such as enabling effective teaming, promoting productive conflict, or helping drive entrepreneurial mindsets. Want your top talent to grow together?